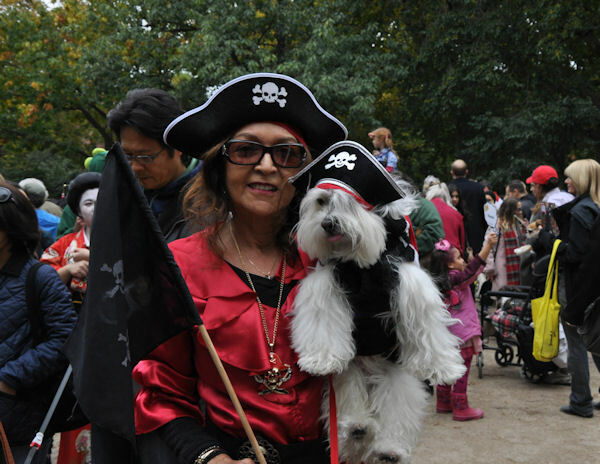 The 25th Annual Tompkins Square Halloween Dog Parade took place on Saturday and pooches of all shapes and sizes, and even some of their owners, flaunted their cuteness and creativity. Over 250 dogs strolled down the catwalk in the center of the park to win Best in Show. 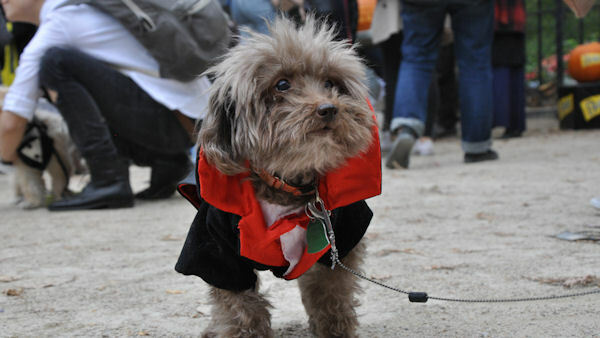 The grand prize winner would receive an Apple Watch, which is a treat more for the owner instead of the dog, who had to be on display in a crazy costume for hundreds of New Yorkers. There were costumes ranging from the modest store-bought vampire or pirate getup, to full-blown stroller displays and entire families taking part in group costumes of characters in famous films and books. An owner ready to devour her sushi dog roll. 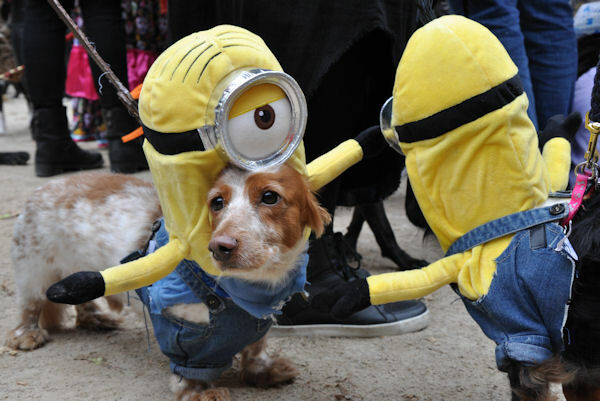 The minions paraphernalia has even taken over the dog world. 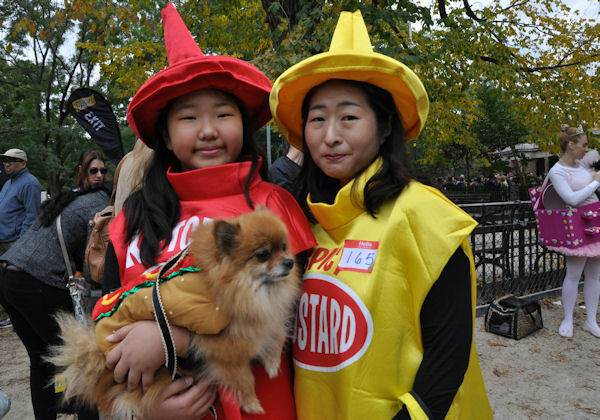 A man's best friend is a special combination like ketchup and mustard. 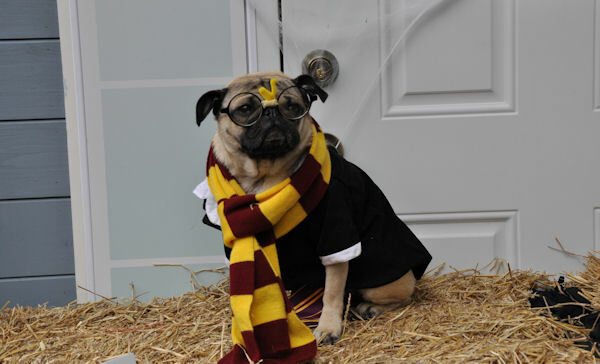 The Instagram-famous dog Doug the Pug made a guest appearance as Harry Potter. 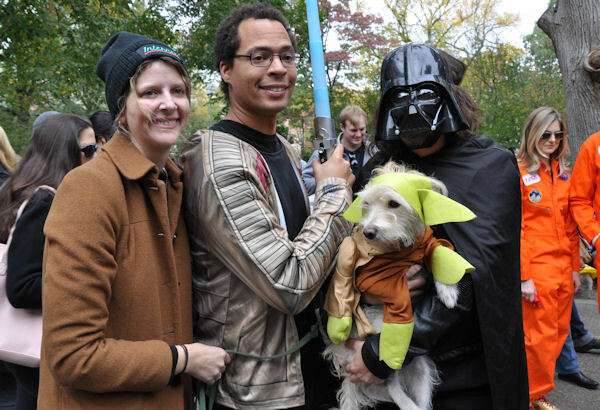 The force, and group costume, was strong with this dog's owners. 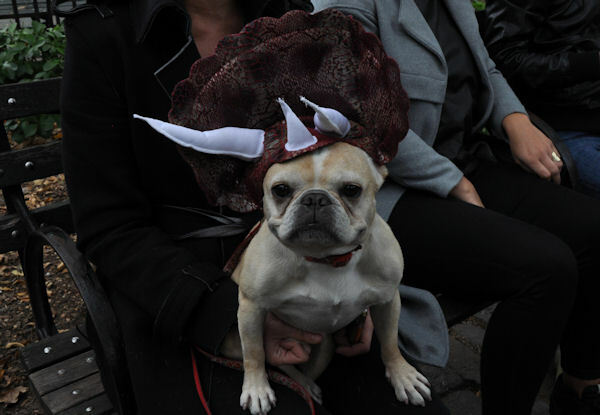 This french bulldog decided to be a triceratops for the day. 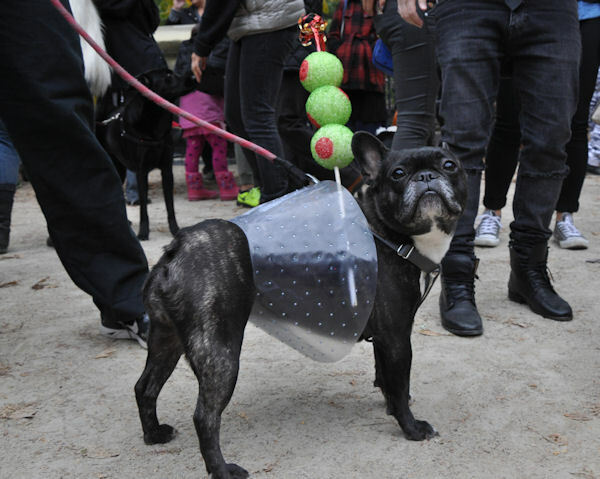 What better way to use a dog cone than as a martini glass? 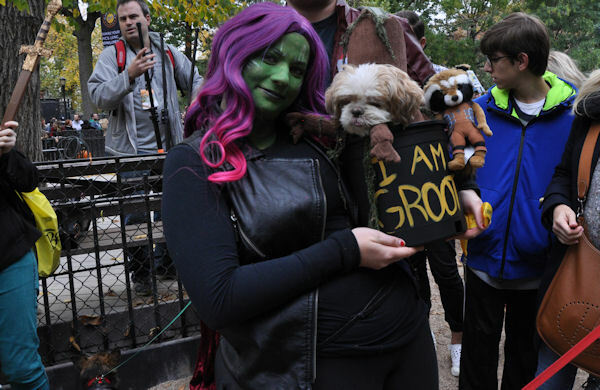 Gamora, from the movie "Guardians of the Galaxy," brought her friend Groot to the parade. 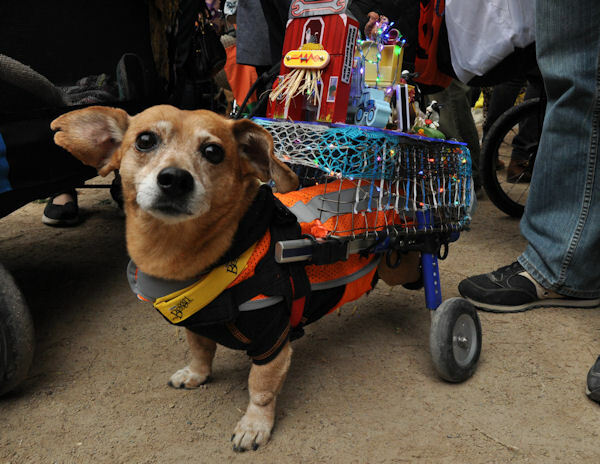 Even the handicapped dogs were able to show off their creativity and style. Best friends that match together stay together. The dynamic duo of Batman and Catwoman strike down on Gotham City. 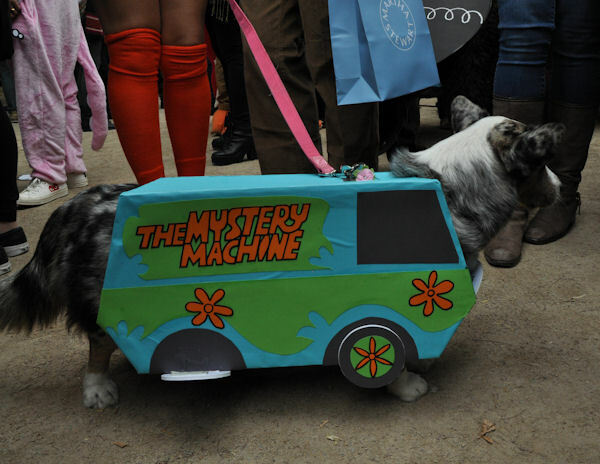 It would have been too simple to be Scooby Doo, but this dog takes its creativity up a notch. 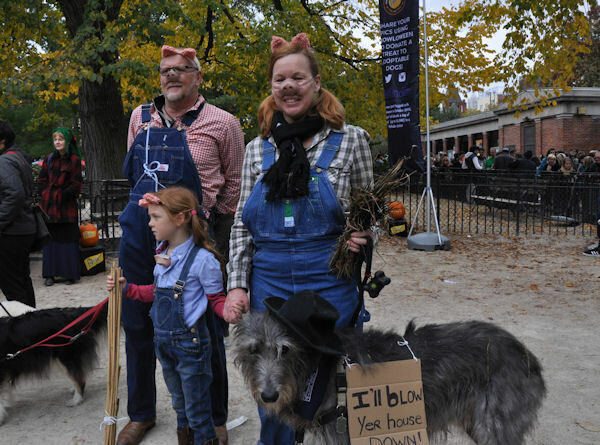 This entire family took part to dress up as the three little pigs and the big bad wolf. 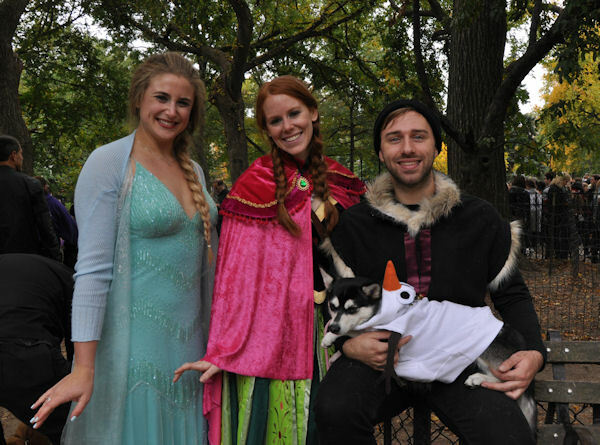 Of course it could not be Halloween without someone dressing up as "Frozen" characters. For the people attending without a dog who felt so compelled - after seeing all the adorable dogs - to want a dog of their own and dress it up for next year, the Mayor's Alliance for New York City Animals made dogs available for adoption at the event.